Swedish Breakfast was quite full. Location is grateful - you can walk to Cultural Park about 10 min, 15 min to exhibitions, to Kremlin about 45 min, and to "Chistye Prudy" station about 1,5 hour. Fantastic location, helpful staff, everything else was fine. Great location and good breakfast! They also have a water cooler on every floor and the WiFi internet connection was very decent! 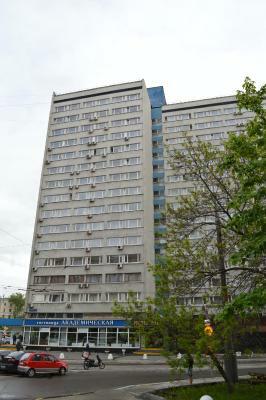 Excellent location, easy to access everywhere, close to metro! Good, clean room. The staff is incredibly friendly, helpful, and resourceful. The location is very convenient and the setting is great for those who like to run. Just head left out the front door, down a quiet street to the monastery and follow the trails and sidewalks around the monastery and back up the quiet street to the hotel. There is an excellent hair style shop next door with 10% discount for hotel guests. 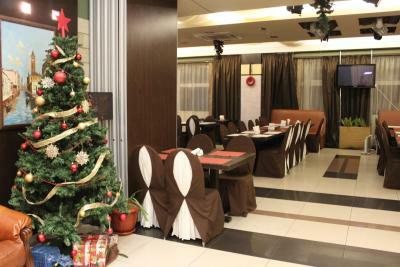 Several outstanding restaurants, coffee shops, and even convenience store very nearby. Akademicheskaya is my hotel of choice in Moscow! Very convenient location. Friendly, helpful staff. Nice restaurants/cafès/stores nearby. Very cool, old monastery just down the road. Location of the hotel is excellent, breakfast was so/so. 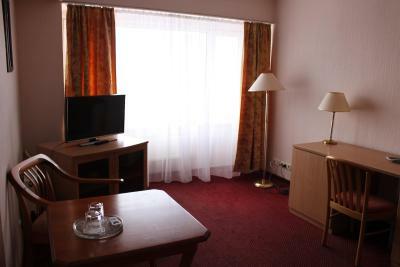 Akademicheskaya Hotel This rating is a reflection of how the property compares to the industry standard when it comes to price, facilities and services available. It's based on a self-evaluation by the property. Use this rating to help choose your stay! This 3-star hotel in central Moscow is a 10-minute walk from the Gorky Park and the Tretyakov Art Gallery. 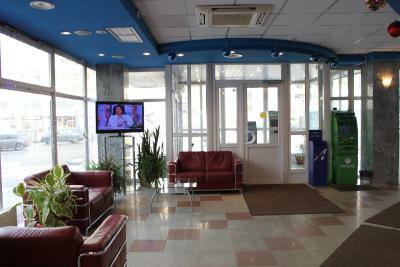 Guests enjoy free Wi-Fi at the Academicheskaya Hotel. 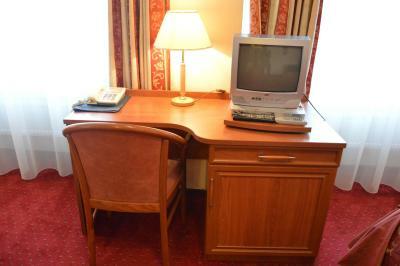 Rooms at the Academicheskaya Hotel Moscow feature classic décor with red carpet and a work desk. 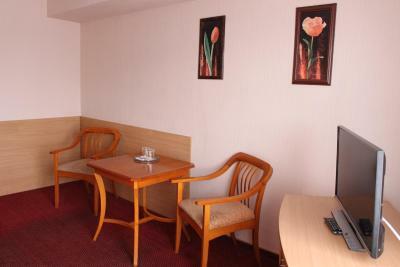 All rooms also include satellite TV and a private bathroom. A full breakfast buffet is provided each morning in the spacious and elegant dining room. 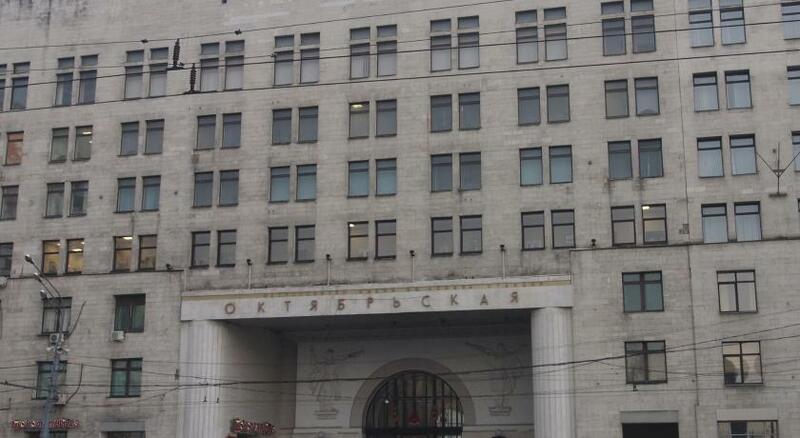 Oktyabrskaya Metro Station is a 5-minute walk from the Academicheskaya Hotel. The Crymsky Val Exhibition Center is a 10-minute walk away. 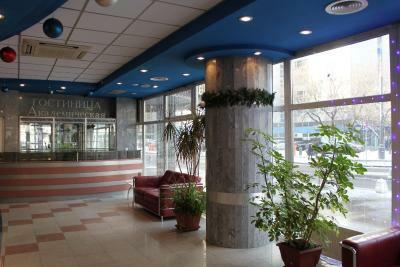 Akademicheskaya Hotel offers a 24-hour reception. Domodedovo Airport is a 40-minute drive away. Yakimanka is a great choice for travelers interested in fine-art museums, monuments and history. 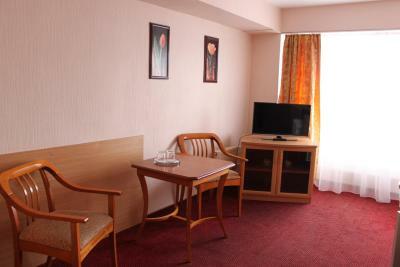 When would you like to stay at Akademicheskaya Hotel? This room comes with satellite TV and a private bathroom. It features extra space and a fridge. This junior suite comes with a private bathroom, fridge and satellite TV. This suite comes with a private bathroom, fridge and satellite TV. It offers a bedroom and living room. This suite features air conditioning, bathrobe and sofa. 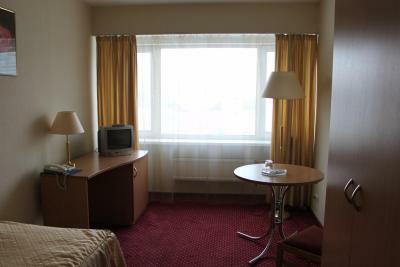 This single room features a satellite TV, private entrance and view. This twin room has a private entrance. 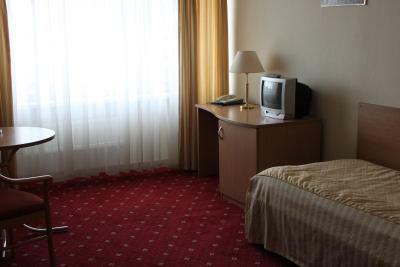 The hotel Akademicheskaya is located in business and historical center of Moscow, at the beginning of Leninskiy Avenue, at the crossing of Kaluzhskaya square and Sadovoe ring. 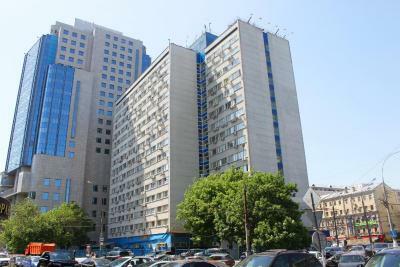 Hotel surroundings – This neighborhood is a great choice for travelers interested in fine-art museums, monuments and history – Check location Great location - show map Guests loved walking around the neighborhood! House Rules Akademicheskaya Hotel takes special requests – add in the next step! Akademicheskaya Hotel accepts these cards and reserves the right to temporarily hold an amount prior to arrival. The hotel is very old-fashioned. It looks very old from inside and outside. 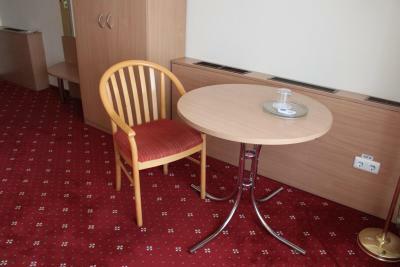 Simple rooms from the Soviet times, stinky carpets, dirty corridors. It is situated near the downtown, but this is the only advantage of this hotel. took around 2 hours for check in ,not flexible not friendly receptionist .they look exhausted and in not good mood. The hotel only accepted cash. We came prepared, but it's good to know. Also, they lost our visa registration. In the end, it all worked out, but I recommend checking back with the desk early in your stay to avoid last minute complications. We booked this hotel last minute as the other bookings fell through. Though a bit out of the downtown, it's very close to a metro station and just a few stops from Red Square. There is a Burger King close by and a bakery too. It was disappointing to change plans, but the hotel made up for it and was overall a pleasant experience. Cash only. Hot rooms without aircon. They don't accept card, only cash, which is not convinient. Personnel is very rude. Rooms are dirty. Very good breakfast, service. Large room. Clean. Wouldn’t take a debit or credit card a so we had to use there cash machine which charged us more. Very noisy and no air conditioning.